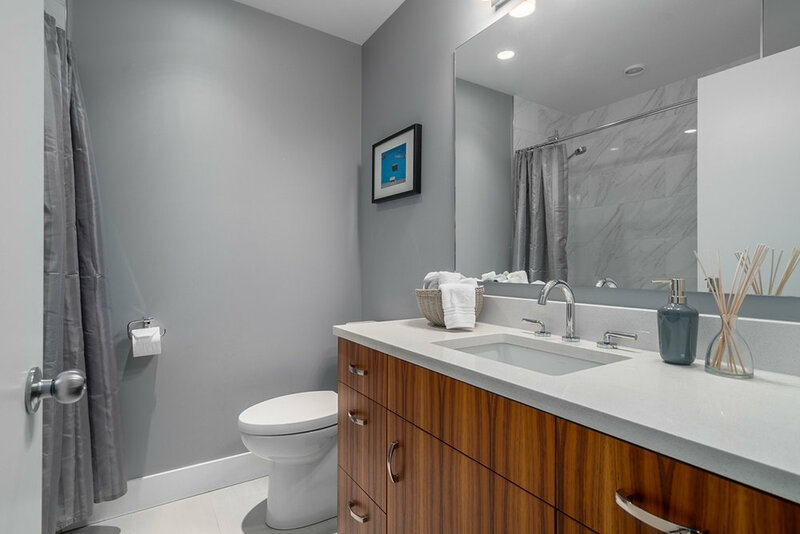 A full home renovation in East Vancouver featuring kitchen, bathroom, living room, and exterior remodelling executed by Tandem Construction’s General Contracting, Project Management & Carpentry. 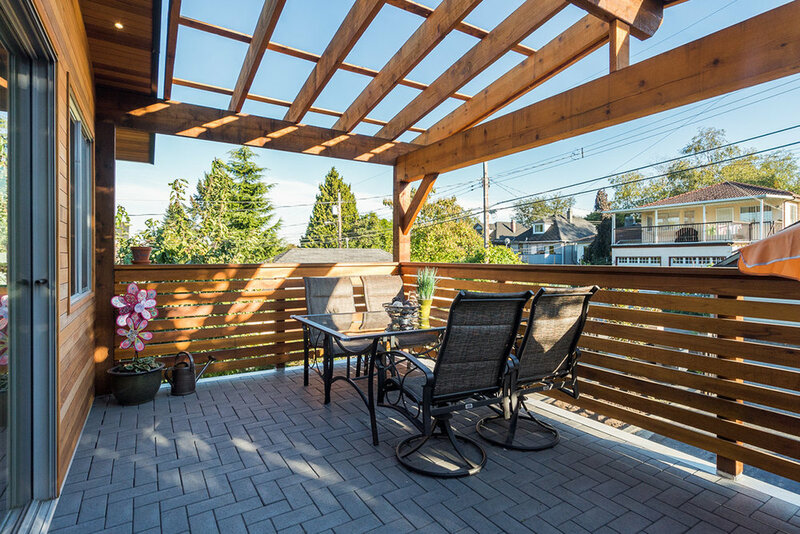 We gave this East Vancouver home a full renovation that culminated in a more open interior living space, entertaining space on the patio, updated exteriors and the installation of premium features. We removed walls to open up the kitchen to the living room, built a shade over the back deck and replaced almost all windows with new clear anodized aluminum windows. 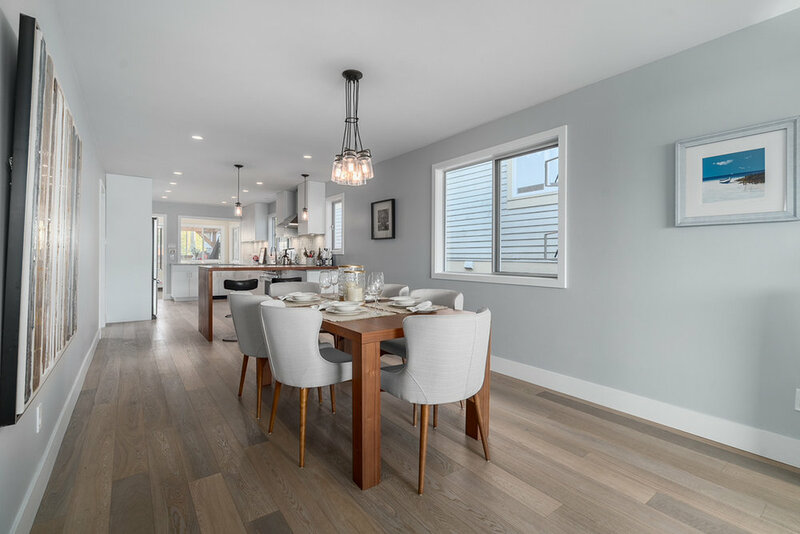 Features include a statement walnut hardwood peninsula bar, granite countertops, white oak engineered hardwood, concrete floors, clear anodized windows, cedar pergola and cedar fine line siding.